Certain apps, such as Maps and People, are built into Windows 10. You may purchase or download and install other apps, such as drawing apps or television viewing apps like Netflix, or more robust applications, such as Microsoft Word or Excel. Although these apps and applications may connect to the Internet to get information — such as the latest traffic info, or software help files — the software itself is installed on your laptop. 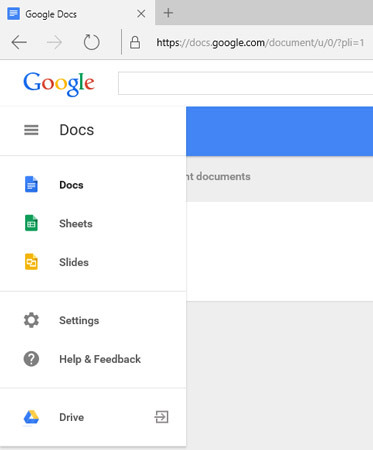 Online office suites: For example, the Google Docs suite of online software includes word processor, spreadsheet, and presentation software products you can use by logging into a Google account. These applications are compatible with popular office software such as Microsoft Word and PowerPoint. Your Microsoft account also enables you to work with Office Online apps, including Word Online, Excel Online, PowerPoint Online, and OneNote Online. You can access these apps after signing in to Outlook.com or OneDrive. Email clients: When you log into Gmail or Outlook.com, you’re using software in the cloud. In addition, some email clients that can access more than one email account, such as Outlook and Gmail, connect with file-sharing sites. Rather than attaching files to email messages, you’re given the option of uploading and sharing them on the file-sharing site. You can do that with Outlook.com and OneDrive, for example. Photo-sharing sites: Sites such as Flickr allow you to upload and download photos to them. A variation on this is a site such as Viewbook, where you can create an online portfolio of art samples or business presentations to share with others. Financial applications: You might use a tool such as the Morningstar® Portfolio Manager to maintain an online portfolio of investments and generate charts to help you keep track of trends. You can also use online versions of popular money-management programs, such as Intuit’s free online service Mint, through which you can access your data from any computer or mobile device.